Do JW's examine the nature of the imagery of their sect? - Studying the imagery of the Jehovahs Witnesses. Posted: Thu Mar 21, 2019 3:05 pm Do JW's examine the nature of the imagery of their sect? Imagery is a powerful device in which to capture the imaginations of individuals for the purpose of enticing them into supporting that which is imaged. Every business - secular or religious based - know the importance of imagery in relation to attracting investors/supporters of said business. Q: What are the kind of people who are attracted to JW imagery, and why do these particular types fill a niche in the market? The organisation is able to be studied in this light, as an example as to how long it takes for a small business to gain popularity and how long it takes for the business to grow in the hustle-bustle of the market place and what clientele the organisation is attracting which are otherwise not accounted for in said market place. The image below, is just one of many which are used to attract a particular type of human being with the expectation of getting them to part with money, and the method used to spread this organisations advertising involves getting the clients themselves to promote the business by freely distributing the propaganda door to door, not even having to pay said clients for the service, as the clients believe they are doing so for the Christian sects claimed leader, "Jehovah", and therefore willingly promote the JW.Org for free, based upon the promise of reward "When Jesus (Jehovah's representative) returns" - or some similar type promise. "Pay in this life - get your reward for service in the next"
With images of what that promised next life will be like. There are of course many types of imagery used by this organisation, which gives a clear indication of the types of individuals that the business is focused upon attracting, to build the numbers and maintain their piece of the action in the marketplace. 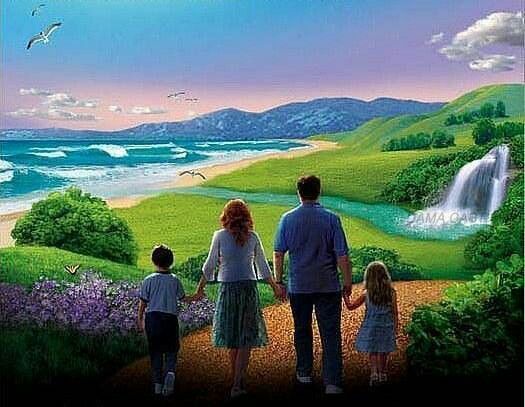 The image above, represents a white middle-class nuclear family walking hand in hand toward an idyllic scene, appropriately costumed in acceptable garb, and no other humans around. Q: What does this image invoke in the individual who identifies with it? Q: Who is most likely going to identify with it? Obviously the JW organisation is reaching out to white middle class family orientated folk as one type of customer in which they feel their message will take hold and earn money from. I, for one, can bear witness to the fact that white middle class people representing the organization are predominately the ones knocking on my door, trying to get me to buy into the JW.orgs imagery. Re: Do JW's examine the nature of the imagery of their sect? Q: Do JW's examine the nature of the imagery of their sect? I sincerely doubt that is the actual case. We shall see in due course. Was there another image you wanted to post? Can bigotry be implied from what is NOT included in an image? Do illustration of scriptures describing God's judgement of the "incorrigible wicked"
What is the basis for Jehovah's Witness illustrations (paradise, Harmageddon, heaven ect)? To the reader, note... (yet again) ... that the JW sect proselytizer not only quoted me out of context, but emphasizes a part of that without any explanation, and that she has posted this out of context quote with said emphasis, quite a few times now. The purpose of this thread is to explore ALL of the imagery as it is posted, with in mind to understand the type of market niche the JW organization is after in relation to the individuals it attracts through said imagery. What KIND of people are the Jehovah's Winteness images made to attract? Do Jehovah's Witnesses deliberately target particular demographics? Are Jehovah's Witness images designed only to appeal to "white middle class folk"? Can the Jehovah's Witnesses be accused of only showing WHITE families in paradise? 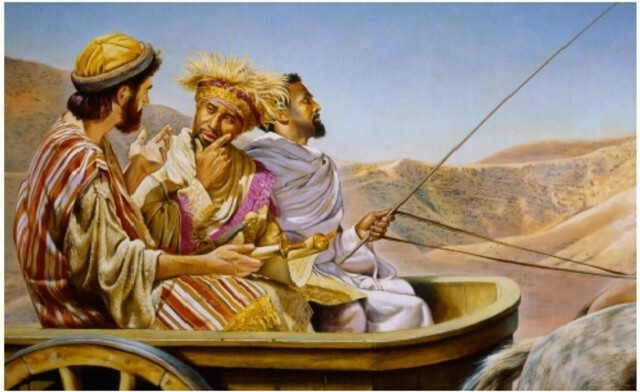 Does the Jehovah's Witness artwork present a "racially" SEGREGATED paradise? Does Jehovah's Witness literature depict people of colour? Does Jehovah's Witness artwork reflect a belief that only white men will God to heaven? 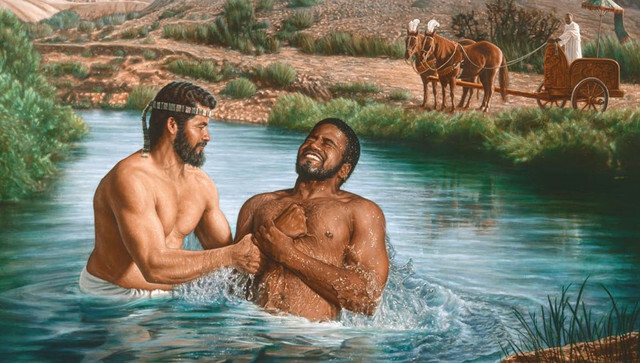 Does the JW artwork acknowledge the struggles of people of colour? Are there any images on the JW website that might appeal to homosexuals and people that lead "alternative lifestyles"? Have Jehovah's Witnesses illustrated the bible book of Revelation? 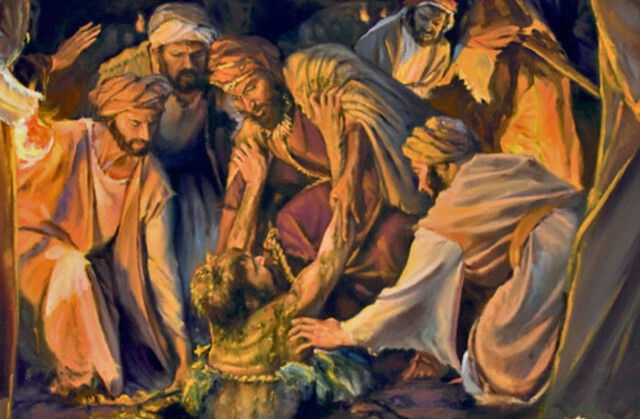 I have a number of images on various themes I will post in this thread in future, I appreciate there being a thread dedicated to anaylsing JWs artwork and will do so periodically in the future. As for you, when you post another image from the Watchtower society I will certainly consider responding to you. Until then I wish you a most excellent week. 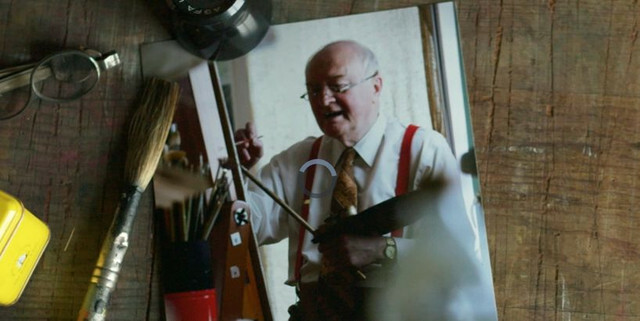 Re Video about JWO artist Allan Boyle titled "Deep Study For a Clearer Vision"
"One of the most beautiful things about working in the art department and doing paintings is that it makes you do research..."
It appears he forgot to research deeply enough and painted all the hero's as Europeans. The apple does not fall far from the tree. The JW organisation - which claims to be dissociated with the major religions of Christendom and even condemns these as hypocrites and agents of evil - is really no more or less than the analog of a rebellious child pointing out faults in its parents whilst proclaiming itself as somehow better. As Allan's art depicts, the JWOrg is still invested in portraying white skinned folk as the biblical hero's, just like the major religions of Christendom do. Quoting out of context also YOURS. It didn't change your message. It's clear that your assertion that JW images only portray white people are heroes is defeated and this was the best response you could come up with. Even the image on the JW.org home page it's not of a white person. Would you like to see an image of a bunch of non-white heroes? The link is an image to a few dozen South Korean JWs that endured prison for their Conscientious Objection to military service. These people are heroes in our eyes. You are strawmanning as your argument doesn't relate to what i actually wrote. Read it again. My argument focuses on Allan Boyle's claim to have done research related to his artwork, which goes against his portrayal of Europeans been depicted in said artwork in the roles of Noah, Daniel and Jesus. I then noted that this contradicts the JWOrgs claim that they are not a part of the bigger Christian religions - whom they demonize in their literature - which is obviously a false claim as can be seen in how the JWOrg uses art to depict similar ideas as those older more established Christian religions use - thus my comment "The apple doesn't fall far from the tree", the meaning of which is common enough knowledge. THAT is CLEARLY my argument, so you have yet again chosen to grab the wrong end of the stick (meaning) and as a result created a strawman (meaning) to argue against. If you are happy to argue against what I am actually pointing out about the JWOrg, please do so. Otherwise please refrain from the silly tactic of creating and attacking strawmen as it does not work as a distraction in relation to me and what I am arguing.